I've been filming videos of my kids growing up and family vacations for 18 years. Almost all of that footage was shot on MiniDV tape: first in SD, and then in HD. Consumer video editing back then was new...and sketchy! I had to have a USB video capture device to import my SD videos into Pinnacle Studio for editing. Later, I built my first custom PC with a firewire port, a large hard drive (for back then), and enough processing speed to handle 1080i. Editing those HD videos was a struggle. Then Apple came out with iMovie HD and we bought an iMac. Video editing got a lot easier, but the hardware was twice as expensive. Ten years later, 4K video is now the standard. And it's not just for prosumers with high-end camcorders. Cell phones, GoPros, drones, and other consumer electronics can produce beautiful 4K footage. 4K monitors and televisions have become affordable, and your 4K content can be streamed online for distribution. But editing 4K video, that wasn't shot on your phone or tablet, requires another hardware leap for computers. My 2008 iMac is not supported by the newest versions of Mac OS X, so I'm not able to use the latest software like DaVinci Resolve. And the prices for a new Apple computer are twice as much as an equivalent Windows computer. Enter the Hackintosh! Building a hackintosh is not just about component compatibility. There is a steep learning curve to set up and maintain Mac OS on a custom build. They almost never work 100% when you first turn them on. They require a good amount of tweaking to fix issues that you wouldn't have with a Mac you buy from the store. For more information, check out tonymacx86.com and read EVERYTHING before you decide to go this route. I am not a programmer, but I can follow instructions. If I can do it, you probably can too. A hackintosh is a custom built computer that uses components that are compatible with Mac OS. So compatibility was my first criterion. I also wanted speed, value, and aesthetics. Speed and value are usually diametrically opposed. Usually, you will find there there are incremental price increases as you move to more premium or faster products, and then a large leap in pricing for the bleeding edge of tech. I decided to go with parts that took me right up to the edge BEFORE that pricing leap. So you need 3 main things to be compatible with a hackintosh: the motherboard, CPU, and the GPU. The GPU choice was easy. 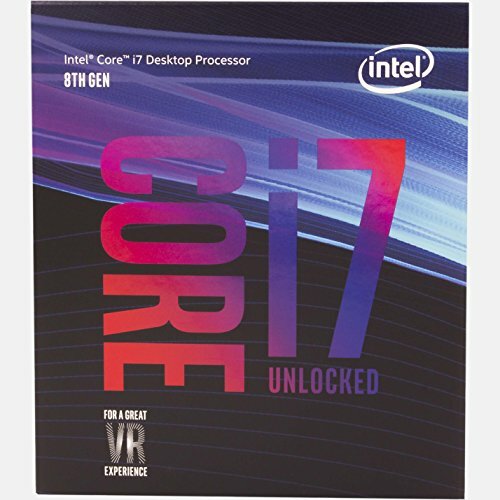 AMD processors aren't compatible with MacOS, so I went with the Intel i7-8700K. [Not so fast...it has been brought to my attention that this is not true. You can, in fact, build a Ryzentosh.] This is Intel's 8th and latest generation of i7 processors, and the K denotes that it can be overclocked. Choosing the CPU narrowed my choices of motherboards. Now I could go to the tonymacx86 list of hackintosh-compatible motherboards and narrow it down some more. I wanted an ATX size for expandability, and Thunderbolt 3 ports for future connectivity. Based on pricing, availability, and brand comfortability, I chose the Asus Prime Z370-A. I got the processor and the motherboard together for $440 at my local computer store (see note below). For the GPU, I wanted a GTX1070 or better. This is a clear instance where the price goes up by $50-100 as you move to faster cards. The GTX1080 turned out to be the sweet spot. I ended up with the EVGA GTX 1080 FTW2 DT. It has the newer cooling tech called icx (vs acx3) and the DT model was deeply discounted because people think you can't overclock it. We'll see... Also, the DT model was not on the hackintosh approved list, but since it's basically the same as the FTW2 card, I took a shot. I got it for $460 at B&H. Aesthetics played heavily into the rest of my choices. Everything is RGB now! Since my motherboard has an addressable RGB header, I kinda went nuts. For RAM, I needed a minimum of 16GB, and 32GB was recommended for Davinci Resolve. 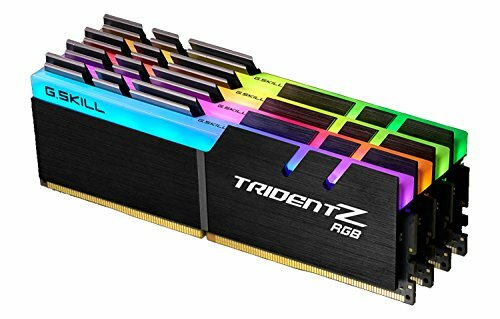 So I got 32GB of G.Skill TridentZ RGB DDR3200 for $350. For the cooler, I decided to go with an entry level water cooling AIO. The Cooler Master ML240L has 2 RGB fans and an RGB pump/block that syncs with Asus Aura light control, and it costs roughly twice as much as the air cooler I was leaning towards. I paid $60. I plan to upgrade that later anyway. I would have liked to get the Thermaltake Floe Riing 240mm Premium TT AIO, but it was almost 3x the price and not compatible with Asus Aura. Check out JayzTwoCents on Youtube for the ultimate in watercooling information. 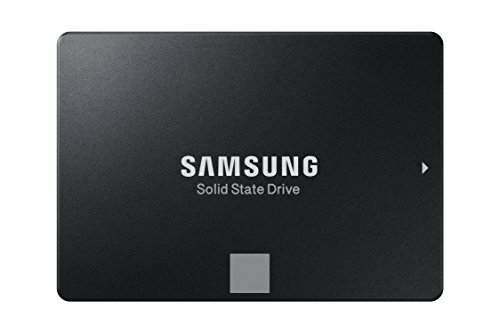 For storage, I went with a Samsung 970 Evo NVMe drive ($180) for my OS and Apps, and the Samsung 860 Evo SSD drive ($85) for a scratch disk. For the power supply, I wanted the least expensive, fully modular, Tier 1 unit with 600+ watts. I used Google to look up the PSU Tier list to find the better units. I ended up with the EVGA Supernova 750 G2 for $70. Lastly, I chose the Thermaltake Core P3 ($110) to show off all my RGB components. Check out JPModified on Youtube to see some of the amazing mods he's done with this case. Buying Notes: PCPartPicker is an excellent resource, but doesn't include local stores that might have specials or combo deals, like Micro Center or Fry's. In my area, Micro Center had the best bundled price on the MB, CPU, and SSDs even after tax. Amazon has a great selection and helpful reviews, but not always the best prices and they charge taxes. Newegg is eggcellent ;) for pricing (no taxes too), selection, and customer service. My first set of RAM was faulty, and they shipped me a new set overnight with free shipping and free returns. They also refunded me $50 when they dropped their own price a week after I made my purchase. Lastly, B&H had the best deals on some things with their rebate program. My total cost for this build was $1,755 plus some tax. The comparable 6 core Mac Pro with 32GB of RAM and 1TB SSD costs $4,000, and has a slower processor and slower RAM! In reality, you can't buy a Mac this fast! The Thermaltake Core P3 case is one of the coolest pc cases I've ever seen. You can stand it upright, lay it down like a test bench, or mount it on a wall with a VESA compatible TV mount. I bought the Snow Edition (white) at first, but then changed my mind once I received the rest of my components (mostly black). This is a case you have to build yourself, and the instructions are almost useless. I couldn't even get the back panel off for 15 minutes (HINT...it slides to the side). The case allows you to mount your video card horizontally (normal) or vertically (awesome), and includes a riser cable. 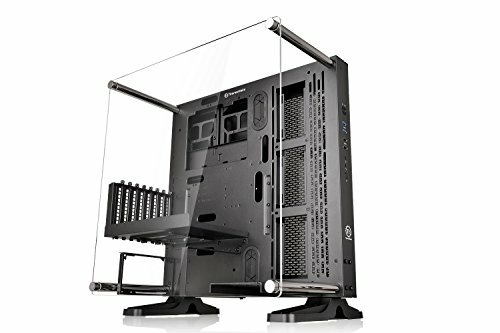 It also comes with a tempered glass panel to cover your components, but I'm not using it yet. The rest of the build was pretty straight forward. The primary M.2 slot is underneath a heatsink on the motherboard. It even has a thermal pad ready to help keep your NVMe or M.2 SATA drive cool. When my first set of RAM wasn't working, I couldn't boot the system. Luckily, Asus includes 4 lights on the motherboard that light up before booting as it checks the CPU, RAM, VGA, and BOOT drives. The light for RAM turned orange and let me know something was wrong. I booted with each stick individually until I found the one with the problem. I was able to run with 2 sticks (16GB) until Newegg got me a new set. The RGB lighting is amazing. The Asus Aura software controls the MB right side panel leds and the RAM leds. I followed the directions for putting together the Cooler Master ML240L water cooler. But instead of using the included controller, I connected the 3-in-1 splitter to the Asus RGB header on the motherboard. Now the Asus Aura software controls all of it in sync. Very cool. The only thing it doesn't contol is the EVGA video card. Unfortunately, the only way to control video card lighting with Aura is to buy an ASUS video card. They were a lot more expensive, so I can live with it as is...for now. The only component that I'm having second thoughts about is the Cooler Master watercooler. For starters, it's loud. The fans are loud and have a bit of a rattle. I was able to create a custom fan curve in Asus Q-Fan (found in the BIOS), but the tradeoff is more heat. Also, a little air must be in the lines because the bubbles going through the pump sounds like an aquarium. And the RGB leds in the fans aren't addressable, which is unfortunate but still looks really cool. So I have an open box Thermaltake AIO on the way. I found out I can make it work with Aura using a separate controller/splitter box. If you're just interested in the build, you can stop here. This next part is for setting up the hackintosh and how to dual boot Windows 10. I'm not going to cover everything because it has been done already at tonymacx86.com. Everything you need to know can be found under Installation Guide, and Forum>Installation>Other Operating Systems. But I'll break down the steps. First of all, you need two 8-16GB thumb drives. You can download a free copy of Windows 10 from the Microsoft website. Just follow their instructions and create a bootable thumb drive. Next, you'll need to use another Mac computer to download High Sierra. Then follow the instructions at tonymacx86 to create a bootable thumb drive. Make sure you label both drives. Next, you'll need to set up the BIOS using the Delete button during boot. Again, follow the instructions. I decided to use a separate SSD for each operating system, but you can put them both on the same drive using partitions. Let's start with Windows 10 first. The thing to remember, and the step I forgot, was that you need to prepare the Windows hard drive with the High Sierra thumb drive first. You will create a GPT partition first using High Sierra, then run the Windows install. HINT: if you don't have a copy of Windows 10, eBay is your friend. Yes, it's that cheap! Once you have Windows set up the way you like it, it's time to load High Sierra. This is more complicated and takes a lot more time. Follow the instructions very carefully. Once I got it all done, I was shocked that everything seemed to work perfectly...except I had no audio. Luckily, there a bunch of really nice people on the tonymacx86 forum who helped me out. I had to download a couple of apps and learn how to make some changes to the files that allow Mac OS to work with my hardware. Now everything is running smoothly. Once everything is set up, an application called Clover will pop up every time you restart your computer. It will allow you to choose which operating system you want to boot up. Clover is required to trick Mac OS into working with your hardware. If Clover needs to make adjustments, like my audio, you can use special apps that will insert new instructions, called kexts, into Clover's startup profile, called a plist. One of those programs, called Clover Configurator, will also let you change how Clover looks. But sometimes, you have to just open the plist in Text Editer and copy some code to make things right. Wow! I can't believe you stayed with me this long. I hope it's been helpful. I have some plans for changes that I'd like to make to this rig. First will be to change the AIO watercooler. I will delid my CPU add Conductonaut under the IHS, and Kryonaut under the watercooling block. Eventually, I will put in a custom loop with colored liquid and a reservoir. Next, I plan to make a custom RGB-lit PSU shroud and an SSD cover. Check out JPModified and jmmods on Youtube...simply amazing stuff! Then I plan on custom sleeving and combing my cables to clean up the clutter and color match the rest of my system components. And lastly, I plan to mount a slot loading blu ray burner on the back side of the case. So stay tuned...I'll update this as things progress. Thank you. As promised, I have changed out my AIO watercooler for the Thermaltake Floe Riing RGB 280 Premium Edition ($120 used from Newegg). This is a major upgrade in aesthetics. The fans are much quieter, and my CPU load temps dropped by 5 degrees C (more on that later). The downside is the Thermaltake software. There is no feedback to the motherboard fan headers, so I have to rely on software that gives me very little control. Also, the Thermaltake software isn't available for Mac, so that's not so great. 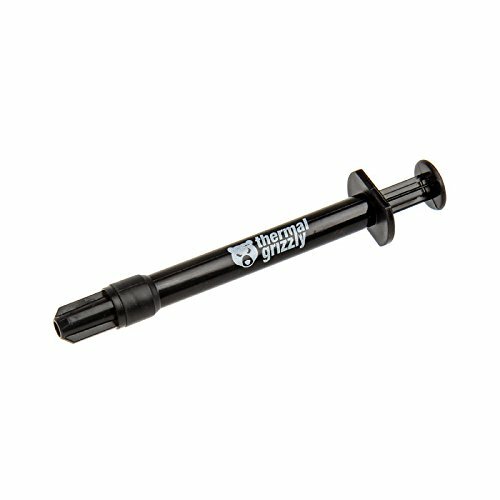 The solution is to pay another $25 to get the Thermaltake Premium Sync Controller. This will allow me to sync all the leds with Asus Aura, use a fan header for motherboard fan control, and gives me lots of ARGB headers for modding. All of this RGB goodness for only 2.5X the cost of the Cooler Master ML240L...pure vanity. I looked into upgrading to a custom loop. Unfortunately, it's going to cost me at least $450 to do it with the same RGB bling that I'm now accustomed to. So that's on hold for now. Next, I finally delidded(?) my cpu. Inexplicably, my idle temps rose about 2-3 degrees C. But at load, my temps dropped 15-20 degrees C! With the Cooler Master, I was hitting 90-95 degrees and the CPU was throttling as much as 6%. The Thermaltake dropped that a few degrees, but was still throttling by 2% (probably the larger radiator 280 > 240). After delidding and using Conductonaut/Kryonaut, my temps at 100% load are in the low 70's with no throttling. Also, my first core was originally running as much as 15 degrees hotter than the others. Now it's perfectly in line with the other core temps. On the hackintosh side of things, I found that there are several problems with my install (none of them major). So my goal is to try and tackle one each week. This week, I found that every time I switched operating systems, the time in Windows jumped 5 hours ahead. I tried changing it in the BIOS, changing the internet time server, and starting and stopping the Windows Time Service. I finally followed my own advice and went back to Tonymacx86 and searched the forums. One small registry edit in Windows fixed it up. Stay tuned for more. This is definitely an entry level AIO watercooler. Pros: The RGB leds are cool and they work with Asus Aura. You can't beat the price. Cons: The fans are loud...mine rattle at high speed. Air bubbles sound like an aquarium. Super cheap connectors...will need to tape them together. Along with delidding my i7-8700K and using Conductonaut, I lowered my load temps by 15-20 degrees C and fixed an issue where my first core was 15 degrees higher than my other cores. Great product. Along with delidding my i7-8700K and using Kryonaut, I lowered my load temps by 15-20 degrees C and fixed an issue where my first core was 15 degrees higher than my other cores. Great product. So far this board has been rock solid. It doesn't have as much RGB as other boards, but it does have a header. Is Thunderbolt 3 upgradeable. No issues. Beautiful and works out of the box with XMP2 profile in BIOS. Syncs with Asus Aura, so you don't need G.Skill software. My first batch had a bad stick. Second batch passed memtest86 with no problems. Super fast and doesn't require any extra room in my case. But what do I do if I have errors and need to read it from another PC? Do they make external NVMe enclosures? Looks great and performs really well in benchmarks. I haven't tried overclocking yet. Supposedly, the DT version has an Nvidia chip that didn't meet FTW2 overclocking standards. We'll see. It was the best 1080 gpu for the price. Terrible instructions, but the most versatile case I've ever had. Perfect if you want to display your components. So far so good. The fan could be a little quieter, but you can use eco mode to turn it off until it's needed. TLDR ;-) $4000 Mac Pro for less than $1,800! iMac Pro does include a very nice 5k display though, however, I still agree, this is a much better value. This is true. The base iMac Pro is no slouch AND it comes with a 5k monitor. I will also say that my hackintosh still needs some work. My USB3 ports aren't recognized yet, the internal graphics don't work yet, and the audio still needs help. It's a work in progress rather than an out-of-the-box solution. Thanks for sharing your passion and enthusiasm mate! Really interesting to read and also getting reminded of the tricky hackintosh installation process. I had a two week period between the time I ordered my components and when I could build. In that time, my video card price dropped $50 and ram dropped $60. I called the companies and got credited. I'll check again before 30 days are up and might save more $$. Hi devincat. Yes, RAM was a huge expense. I actually started with 16GB on sale, with a plan to buy more when the prices go down. Then I changed my mind when the price of 32GB went lower than 2 sets of 16GB. As for the VRMs, take a closer look at my first pic. :-) Asus thought ahead and included a 40-50mm fan mount. What's strange is that they printed their logo on it upside down. Also, Asus states that they will provide 3D printing docs for other parts. Instead, they link to a 3D printing service where you can buy the parts. Just a little bait and switch. Probably better off using an AMD video card for editing in FCPX. The GTX1080 is an awesome card, but still isn't as optimized. Great article. For now, I'll be doing most of my editing in Davinci Resolve in Windows. I've been shooting a lot of drone video with a Mavic Pro, and I'll be adding LUTs along with my editing. Also, since I'm not making any money on my home videos, I don't want to pay for FCP or APP. So why the hackintosh? I still like to use iMovie for basic editing, and I prefer MacOS for daily tasks. Wow, CivicRydr. You are right and I had no idea. I'll edit my post. Thanks for the heads up. Once I figure out my hackentosh, that might be my next build. 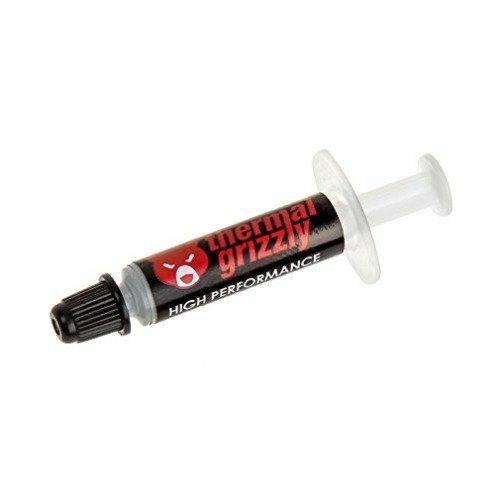 Did the water cooler come with thermal paste pre-installed? It came with a small tube of Mastergel. I applied it myself.